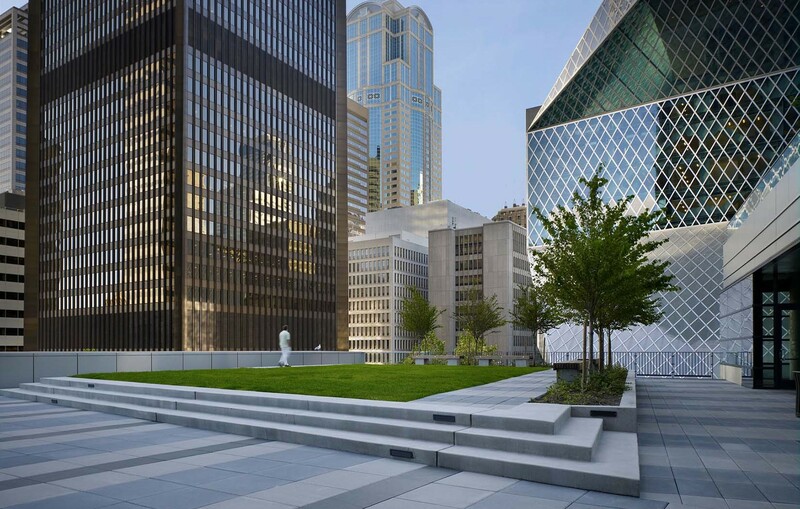 Centrally located in Seattle’s urban core, the California Centre at 909 West Fifth Avenue and Madison Street is adjacent to the Seattle Public Library and a number of other iconic buildings in the city’s financial district. As a redevelopment site, the importance of the context could not be overlooked and, in response, the project delivered a handsome renovation of an existing commercial tower, an exciting new residential mixed use high rise, and a dynamic new publically accessible open space. 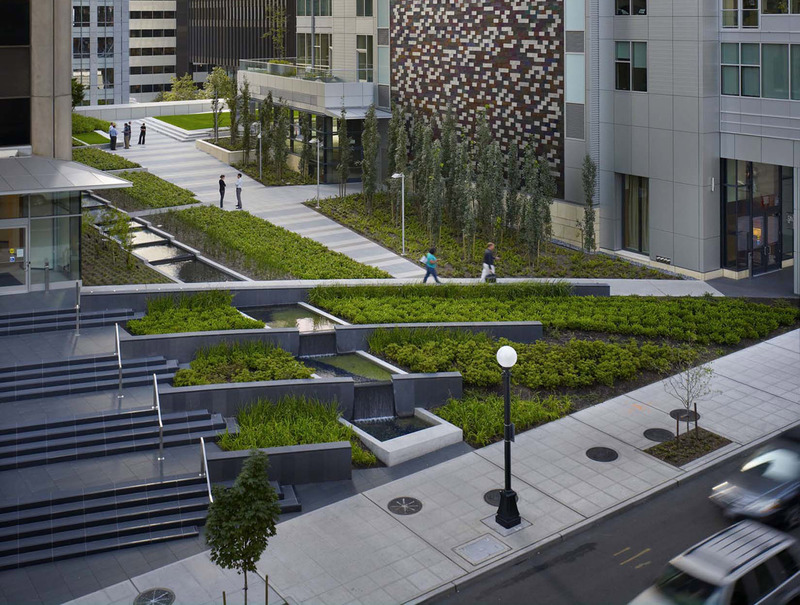 The open space, created over an existing parking structure, is a reinvented landscape that provides a distinct series of experiences. 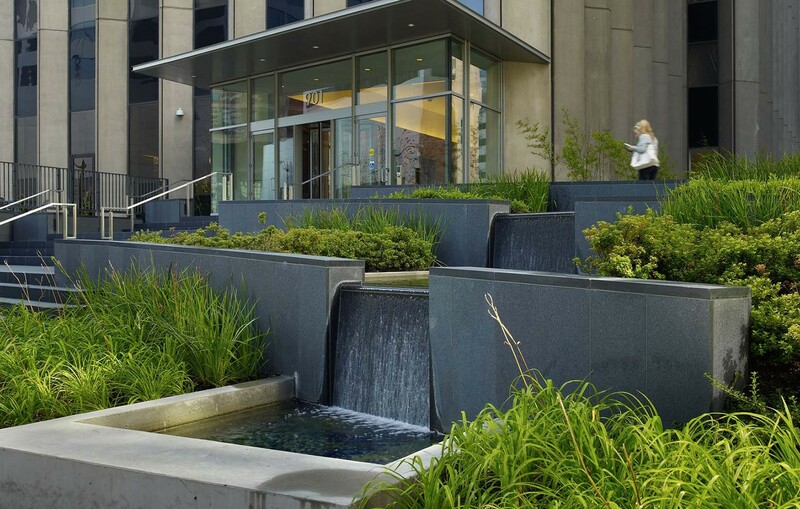 Bound by an illuminated cascading water feature on one side and an urban representation of a native deciduous forest on the other, the space draws the public in from Fifth Avenue to enjoy afternoon programming and sweeping views of the city skyline. 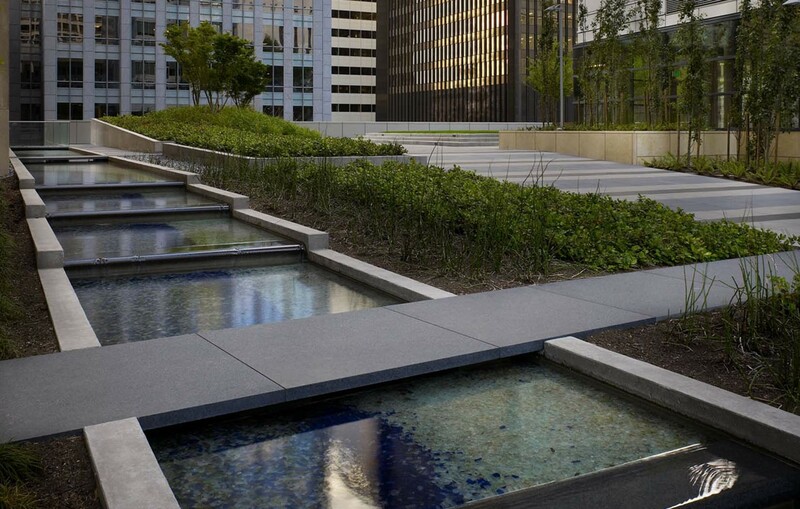 The development was one of the first in the USA to obtain a Gold Standard LEED Certification for its leadership in environmental design.